You’re going to be attending a lot of parties between Christmas and New Year’s Eve. Probably, you’re even hosting one. What do you do when you’re in a fix and all the stores around have shuttered? Thankfully there’s always someone who’ll save the day! This small startup of sorts has been quietly catering to midnight cravings, lazy cooks and those in desperate need of cigarettes, smoking paper, sanitary napkins, emergency medication and beverages in the wee hours. Their website displays a menu and you need to call to confirm if what you’re ordering is available, but from 8pm onwards, give them 45 mins and you’ll have your food at your doorstep. They deliver to Amanora, Koregaon Park, Wanowrie, Viman Nagar, Hadapsar, Kharadi, Kalyani Nagar, Magarpatta and a few others. Didn’t expect to drink at a party, but your friends forced you anyway? It happens, more than you’d like it to. So, call a driver and stay prepared! Smart Driver Pune has reasonable rates for day and night. They have drivers on-call, so you can simply make a quick phone call and have someone to drive you within a few hours. You can hire a driver for INR 500 for four hours with INR 50 per hour after that. Give them a call before you book, as Christmas and New Year’s Eve may affect night charges. Did your car break down at night? If you haven’t yet signed up with an emergency service, you can call Spanwings. They provide 24-hour service for breakdowns for bikes and cars and can assist you with towing, petrol or diesel delivery, battery jumpstart, puncture repair and more. You can call their emergency breakdown support. If you need any kind of emergency first air, or want a bunch of medication that you forgot to pick up during the day, drop by this 24-hour pharmacy that also doubles up as a general store. So, even if you’re out of chips and chakhna or beverage mixers for your party, drop in here. The store also has a cafe, E Hide Cafe that serves burgers, shakes and more through the night. Sounds like a sweet spot, no? Open till 5am, this kitchen is where you call when you want naan and butter chicken in at 3am. 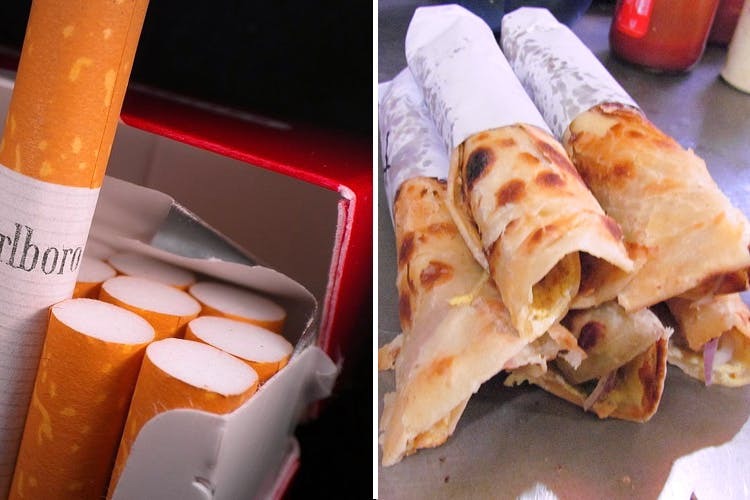 Along with a long menu, they also help customers with cigarettes, condoms, medicines, sanitary napkins, smoking paper and a bunch of other small things you won’t find a store open for.